Excerpt: STEVENSON, Ala. — James Davis figures that his first mistake was asking permission. If a man promises his wife he will bury her in the front yard, then he should just do so. But ever since Mr. Davis granted his dying wife’s wish by laying her to rest just off his front porch, he and the City of Stevenson have been at odds. 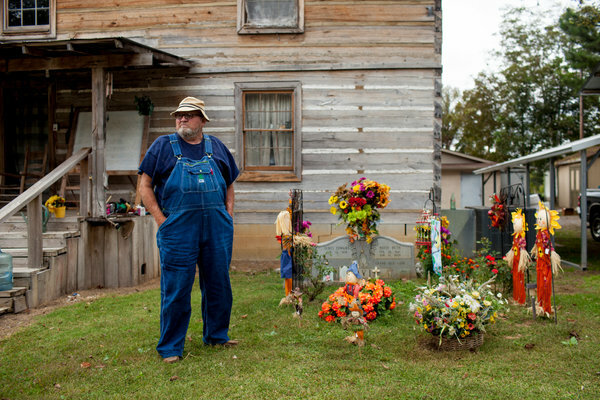 From City Hall to the courts, the government of this little railroad town in southern Appalachia has tried to convince Mr. Davis that a person who lives in a town cannot just set up a cemetery anywhere he likes. On Oct. 11, the Alabama Supreme Court affirmed a judge’s decision saying as much. But Mr. Davis, 74, is not inclined to back down.